The global market for video game competitions known as eSports is booming, with viewership rivaling traditional sports in some regards. 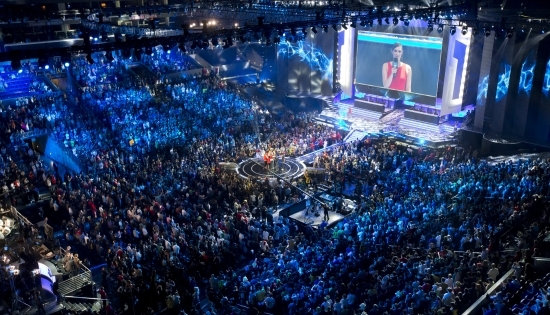 Viewers watched 2.4 billion hours of eSports video in 2013, according to a new study from IHS Technology. This was almost double the 1.3 billion hours in 2012. Hours of viewing will rise to 6.6 billion in 2018. The most popular eSports game in the world in 2013 was Riot Games’ League of Legends. The next biggest titles are Valve's Dota 2 and Blizzard's StarCraft II. This data was derived from the report, “eSports video: A cross platform growth story” from the Broadband Media Intelligence service at IHS. The rise of online video streaming platforms is key to allowing eSports viewership to flourish. Before live online streaming platforms became available, eSports programming in the Western World was largely consigned to highlight packages on major channels or live games on little-known cable networks. However, online eSports viewership exceeded that of television for the first time in 2013, with nearly triple the number of hours of viewing. By 2018, online consumption will represent the overwhelming majority of time spent watching esports, accounting for nearly 90 percent of viewing hours. The rise of online video platforms like Twitch has helped the major eSports events achieve large audiences by aggregating viewers from around the world. Individually these regional audiences may be too small to be viable on traditional television but by aggregating eSports viewers, platforms like Twitch and YouTube can achieve real scale. The growth in eSports video is coming from a wide variety of sources including video game specialist sites like Twitch, Azubu and MLG as well as more generalist services like YouTube, Dailymotion and Tencent. Twitch in particular has seen explosive growth, going from 20 million monthly unique viewers in 2012 to 45 million in 2013, and has now become one of the few independent video services offering non-traditional video to have achieved significant, international scale since YouTube came of age. ESports video lends itself particularly well to one of the fastest growing parts of the online advertising business: programmatic video. ESports videos are often live, international, and the audiences are data rich. This makes for a perfect storm of opportunity for programmatic buying as audiences are difficult to predict and often located in places where traditional ad sales tactics would be inefficient. However, the data means they can be targeted effectively. The business opportunity, combined with explosive audience growth makes companies like Twitch potentially interesting acquisition targets, not only for Google, but also for companies like Yahoo, AOL and Tencent. By 2018 IHS expects esports video to be worth $300 million per year, globally. Major game publishers are diverting significant marketing budgets toward the provision and support of esports based on their own games. For example, Wargaming.net confirmed it would be spending $10 million on World of Tanks eSports alone in 2013. This burgeoning advertising opportunity gives these companies a real chance of recouping more of this investment and drives down commercial risk. At present, few game publishers are aggressively accessing the advertising value chain related to their games. But given the unstable nature of sponsorship and pay-per-view revenues, this fast-growing revenue stream could be their best chance of tipping eSports strategies into profit. "While advertising in and around games has often proved to be a difficult proposition, advertising in online video is commonplace,” said Piers Harding-Rolls, director, games research at IHS. “This form of advertising gives games companies a much better opportunity of accessing the advertising value chain in a successful and meaningful way and offers these companies a route to profitable return on investment from their esport initiatives." IHS defines eSports video as live and on-demand programming that presents organized gaming competitions. The market also includes content directly related to those events, such as highlights and pre-game shows. ESports video consumption is truly cross platform, encompassing both traditional broadcast TV and online viewing. In order to accurately present comparable figures for online and television viewing, IHS is tracking the market in terms of total hours of viewing time. Viewing time represents a better metric for eSports than traditional ratings systems, such as the number of viewers, which is measured differently for online and traditional television.